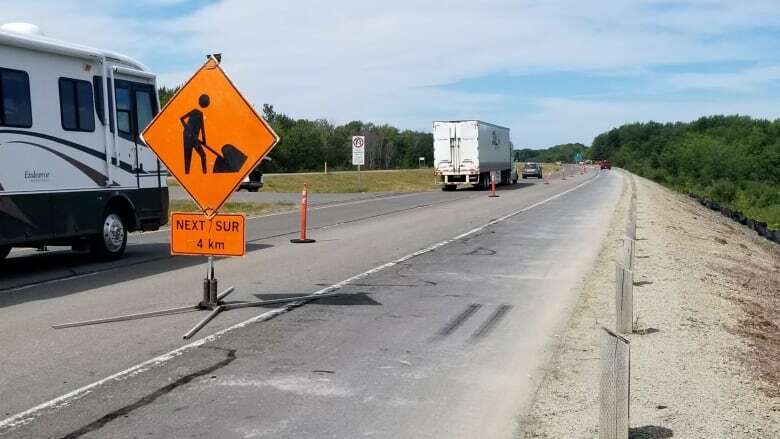 A seven-kilometre stretch of the Trans-Canada Highway in Jemseg has been closed since May 3 because of damage from record flooding this spring. A seven-kilometre stretch of the Trans-Canada Highway in Jemseg has been closed since May 3 due to damage from record flooding this spring. And it will be a bit longer before the highway is fully repaired and the westbound lane reopened. 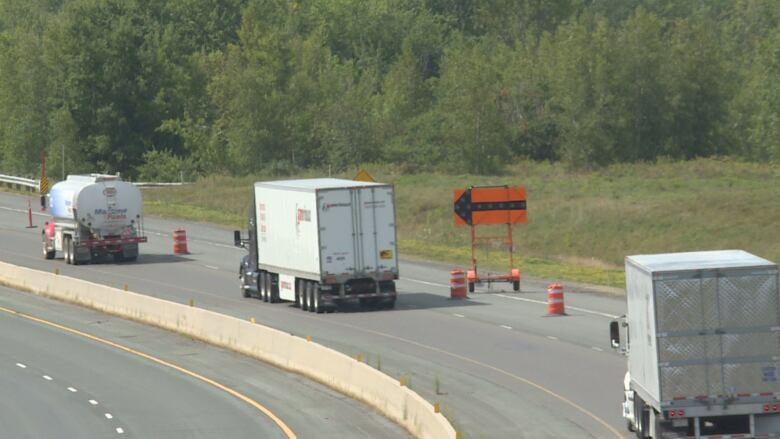 Barring further unexpected headaches in its repair, the highway should be back to full capacity by Sept. 15. Environmental considerations, tight working quarters, and time for design solutions all factored into the four-month closure according to officials. 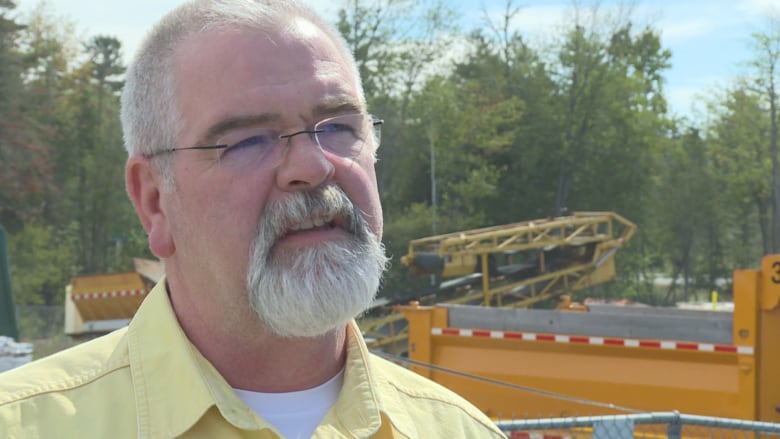 "The actual extent of any damage, and it really wasn't that much, had to be assessed," said Al Giberson​, the general manager and facility manager for MRDC, the company that maintains the stretch of road. "And the design for the solution had to be looked after. The engineering had to be done. Then we go through a procurement process. Then we go through a construction process that we're just nearing the end of now." The highway was closed entirely for eight days back in May, when waters from the Jemseg and St. John rivers covered the route. 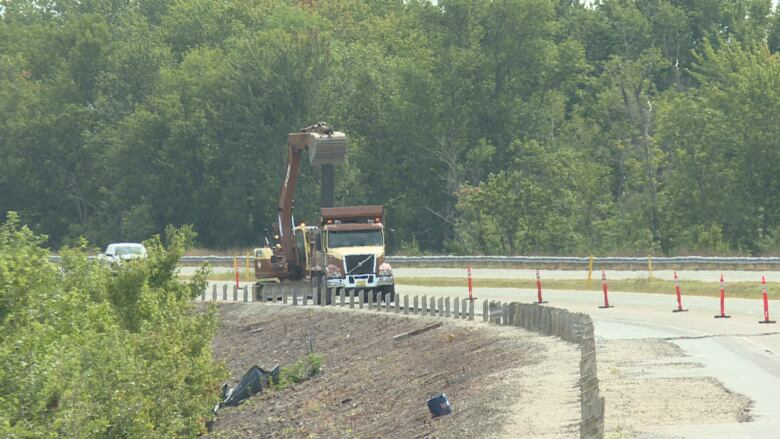 Construction crews are on site and much of the bank of the raised portion of highway has been replaced. "The assessment — that took about a month, then the design took about another month," said Giberson. "We went through a very short procurement period, where we invited tender. We awarded the contract, I'll say four weeks ago. And there's been work steadily going on there." Giberson​ said the strong winds that accompanied the record high floodwaters created steady pounding waves that ate away at portions of the highway's foundation. Those winds and waves are also blamed for the destruction of camps and cottages in the area. Giberson​ said the repair process also has had to factor in the highway's proximity to the Grand Lake Meadows and the nearby marshes that are protected wetlands. "It is the Grand Lake Meadows, so there is environmental control measures that have to be put in place before any type of construction work can be done within those boundaries of an environmentally sensitive area," he said. 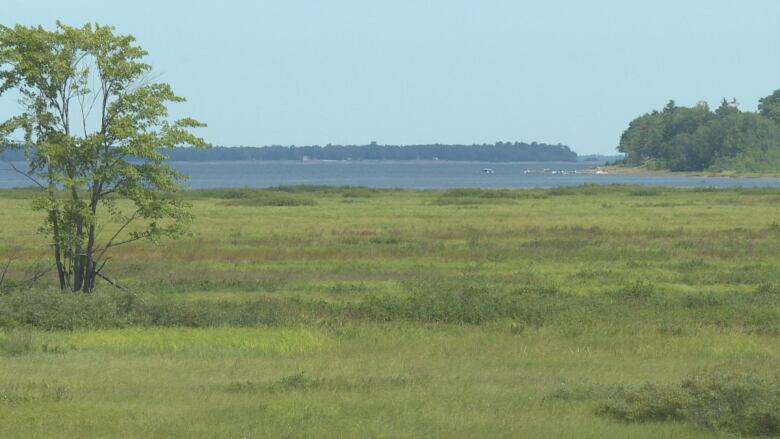 "And the marsh is one of those areas that requires environmental protection any time you are doing work. Doesn't matter if it's the highway or anything else." Rails, posts and the foundation are being repaired along the highway in Jemseg. 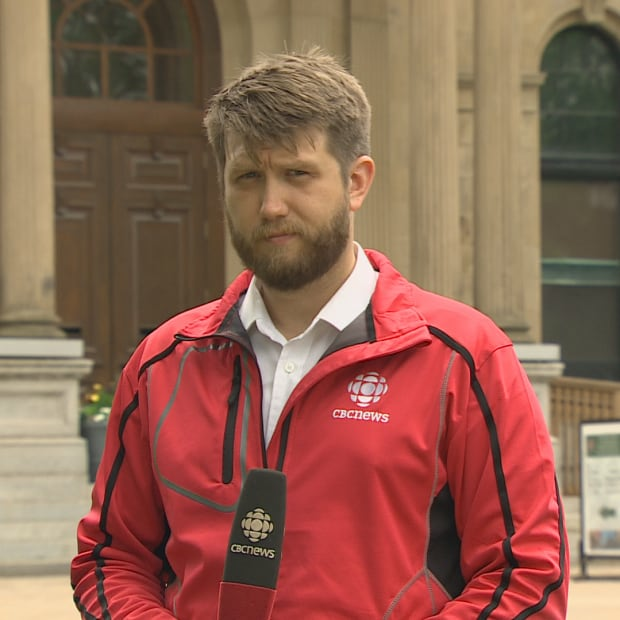 (Shane Fowler/CBC News)But Giberson admitted he is questioned often about the lane's reopening. "It is a popular topic. I get asked about this about five times a week. Everybody wants to know what's going on and why it's taking so long." Until the lane reopens the section will remain a construction area with a reduced speed limit.